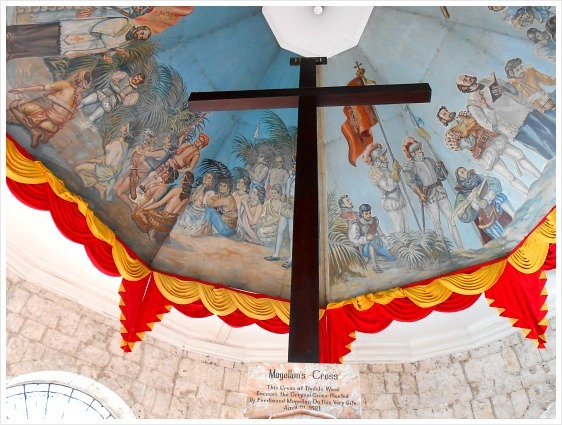 Cebu Magellan Cross is a Christian (Catholic) cross planted by the Portuguese explorer and navigator, Ferdinand Magellan (c. 1480-1521), of a Spanish fleet upon their arrival in Cebu on April 14 or 21 (depending on the source), 1521 C.E. 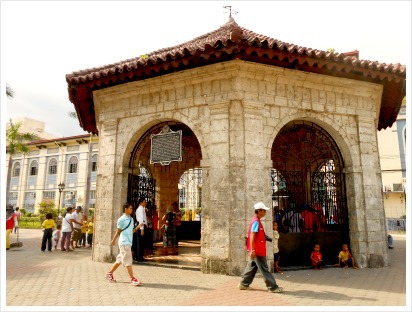 History record tells us that the Cebu Magellan Cross was planted after the natives of the island accepted Christianity including Cebu's king and queen, Rajah Humabon and Queen Juana. However, when Magellan tried to expand Christianity to Mactan island, he was confronted by the natives led by Lapu-Lapu with his army, and he was subdued. (More on Magellan’s travel to Cebu below). In case you don't, or if you wanna know, Spaniards first landed on the Philippine Islands in Limasawa (or Mazaua?) Island on March 16, 1521. And the first mass in the Philippines was celebrated on March 31, 1521, Easter Sunday. I can remember precisely that part of my history class, not because of my sharp memory but because it's my natal day! Santo Nino school and church in Cebu Province. As you can see in the photo, the cross is being housed in a chapel next to the Basilica Minore del Santo Nino, another popular site, on Magallanes Street (Magallanes for Magellan in Spanish). The purpose of the house is not only to protect the Cross from rain or the hot tropical sun, but also from fanatics who chipped away pieces believing it has miraculous powers. You can easily find this Cebu Magellan Cross since it's just in front of Cebu City's City Hall building. Story has it that the original cross got destroyed or has disappeared after Magellan's death. It implies that the present cross could be just a replica planted by the Spaniards after their successful colonization of the Philippines. However, I believe that what is more important is the actual history of the site not only as a religious area but also a significant part of Cebu’s heritage. Magellan entered the strait that bears his name (Magellan Strait) on October 21, 1520. However, beginning the Magellan Strait was rough, dangerous and cold that many sailors mistrusted their captains leading to the situation that two ships turned and fled across the Atlantic Ocean and returned to Spain. At this point, Magellan’s fleet of five ships turned into only three. After a month of crossing the strait, Magellan’s three ships emerged in a vast ocean. This ocean was known to Europeans as the ‘great ocean’, but Magellan called in Mar Pacifico, or the Pacific Ocean because it is apparently peaceful, which is entirely in contrast to his Magellan Strait. it took Magellan three months to slowly cross the vast Pacific Ocean before they finally reach the Pacific Island of Guam, where they replenished their food supplies. It is from Guam that they sailed on to the Philippine islands and landed on Cebu Island. Ferdinand Magellan befriended the natives and no sooner than they were converted to Christianity. Having landed on Cebu, Magellan thought that he was now closer to his final destination – the Spice Islands. However, he did not make it to the Spice Islands because he was defeated and died due to a poison arrow that hit him. He died on April 27, 1521. His two remaining ships reached the Moluccas in November, the Victoria, which completed the voyage around the world carrying heavy loads of spices but with only more than 10 men out of the hundreds of crew. Magellan’s fleet was not just successful in gaining spices but also in learning that the Earth is much larger than they initially thought. The Osmena Residence. This house exhibits some of General Douglas McArthur's memorabilia and personal mementos of the first Cebuano & fourth president of the Philippine Republic, Sergio Osmena. Being the most prominent political figure in Cebu's history, there's nothing or nowhere that is not dedicated in memory to the Grand Old Man of Cebu. Cebu Provincial Capitol. This landmark is a white dome building that rises against the backdrop of Cebu's limestone mountains. This architecture was an accomplishment of pre-war American rule. This seat of the provincial government has statues of President Osmena and Lapu-Lapu. Casa Gorordo Museum. This was the residence of the first Catholic bishop of Cebu. It offers a short history of Filipino lifestyle between 1860 and 1920. It also displays to the public an array of relics of the 18th century and collections of prints & paintings. You may click here for details. 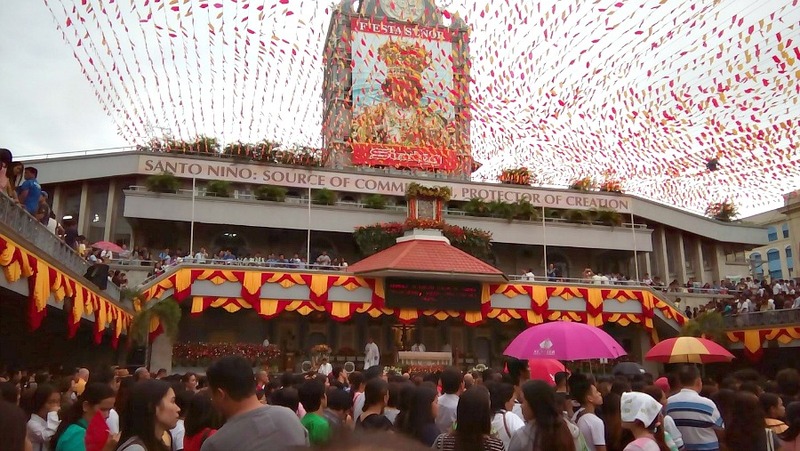 Basilica Minore Del Santo Nino is considered as the oldest religious structure in the Philippines, which houses the image of Santo Nino de Cebu - given as a baptismal symbol to Queen Juana by Magellan in 1521. It was built on the exact spot where the image of the Santo Niño, a sculpture of the Holy Child Jesus found by Spanish explorers in 1565. Colon Street. This crowded street of Cebu is the oldest known street in the Philippines, named after the renowned world explorer Cristobal Colon (a.k.a Christopher Columbus). It is at the heart of Cebu City. Now, Colon is the place where you can find fashionable shops, movie houses, and different offices, as one of the busiest street in Metro Cebu. Lapu-Lapu's Monument. 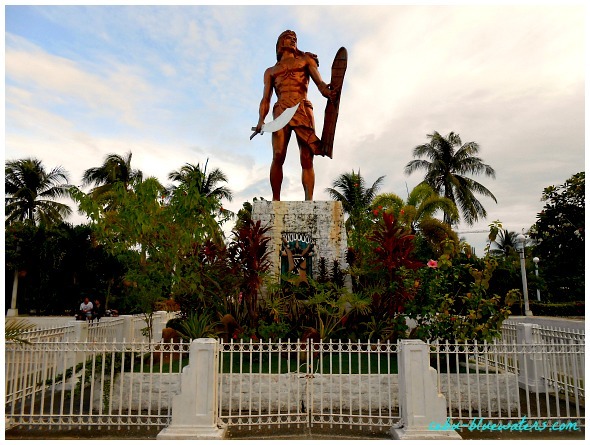 It is a statue erected in Mactan island to honor the island's chieftain who defeated Magellan in that historic confrontation. To further honor this Cebuano hero, this city's name has been obviously attributed to him. His name and images can also be found in coins, drinks bottles, etc. Chapel of the Last Supper - houses a 250-year-old life-size image of Jesus Christ & the 12 Apostles at the Last Supper. You can check it out and tell us your opinion about the image. Cebu Museums. These museums hold the historical treasures of the whole island. Most of them are established under the authority of universities or Cebu City government, and some by private business sectors. Thanks for the visit and enjoy your Magellan Cross tour in Cebu!